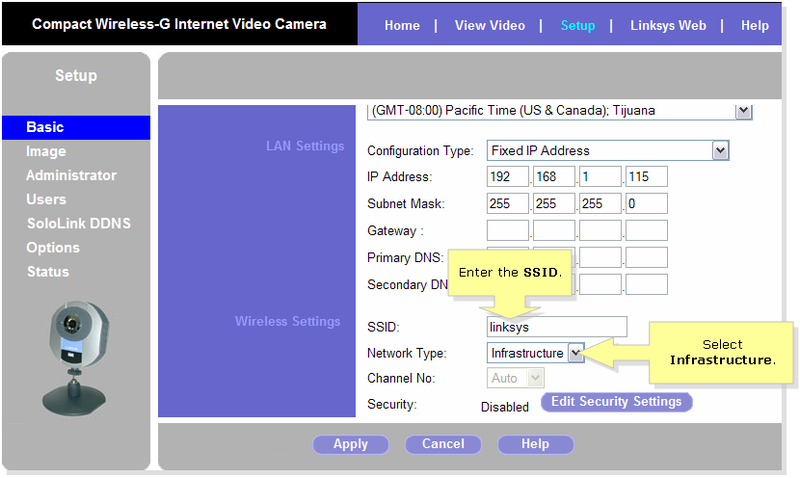 To set up the Wireless-G Video Camera to connect to the wireless network, you have to access its web-based setup and configure the wireless settings to match the access point it wants to connect to. To do this, follow the instructions below. NOTE: If you are using a Mac computer to access the camera's web-based setup page, click here. 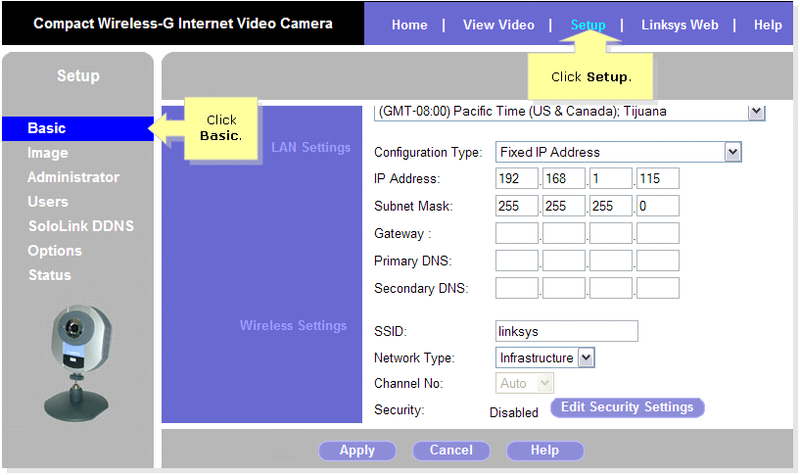 On the Wireless Video Camera’s setup page, click Setup then click Basic. Scroll down to the Wireless Settings section and enter the wireless network’s settings. The settings should match the wireless network it’s trying to connect to. Look for the SSID field and enter the wireless network’s SSID then on the Network Type drop down menu, select Infrastructure. If wireless security is disabled, click Disable then click . If wireless security is enabled, click Enable then click . If the wireless network has WEP enabled, under Security Mode select WEP. 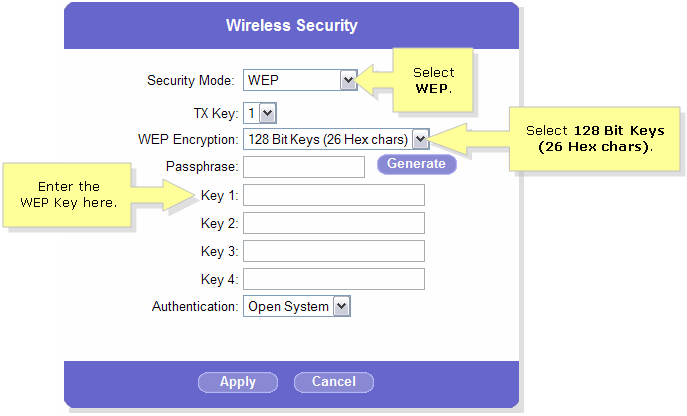 For WEP Encryption select the appropriate WEP level the wireless network is using and enter the WEP key on the Key 1 field. In this example, we selected 128 Bit Keys (26 Hex chars). If the wireless network is WPA enabled, look for Security Mode and select WPA Personal then enter the WPA key on the WPA Shared Key field.